The Early Years Team at Bolton Council support a wide range of childcare providers in their local area from single childminders through to large nurseries. They find that although most childcare providers have experience of looking after children, they often do not have experience of running a business. They also get regular enquiries from people looking to start up a childcare business. E-learning seemed a perfect way to address both of these needs. Working with an early years trainer and consultant, we developed two modules to address the needs. 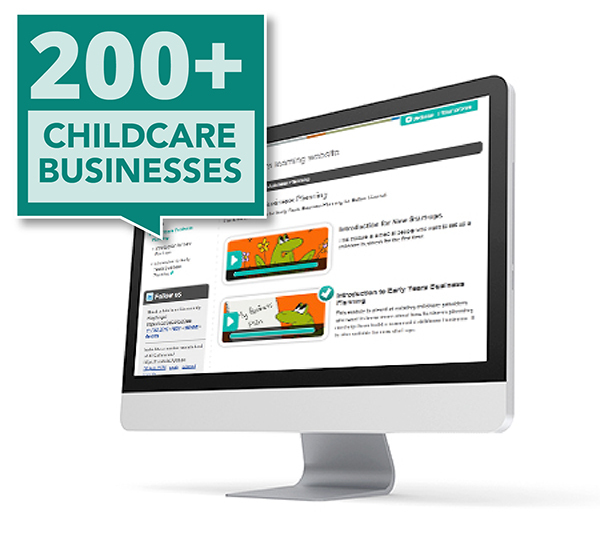 The first module is aimed at existing childcare businesses that need help understanding how to develop a business plan and how to implement it. Aimed at potential new childcare providers, the second module covers all the basics that they need to know, such as Ofsted requirements, planning tips, resources required and where to get funding. interactives to describe key concepts, e.g. what do we mean by quality in a childcare setting? templates and tools to help childcare providers put their learning into action, e.g. business health check tool, SWOT analysis and Business plan templates. Using a Bolton Council-branded version of our learning platform, the Early Years Team is able to track the number of people registering for the free e-learning and to gather feedback on what they thought about it. The responses have been overwhelmingly positive with many people asking for more!